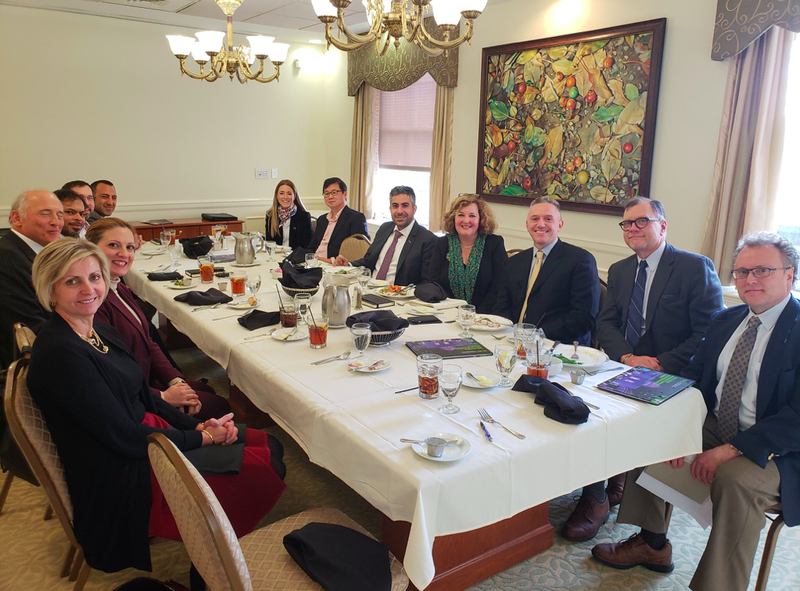 The American Middle East Institute was proud to host on January 15th & 16th, with Pittsburgh Mayor William Peduto, the Urban Redevelopment Authority, Catalyst Connection, and K&L Gates, an advanced manufacturing-focused business delegation from the United Arab Emirates. 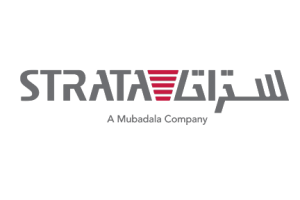 Led by Mr. Badr Al-Olama, Director of the Aerospace and Defense Division of UAE’s Mubadala Sovereign Wealth Fund, the delegation explored bringing the Global Manufacturing & Industrialisation Summit (GMIS), of which Mr. Al-Olama is a founder, to Pittsburgh in the near future. In addition to a private Welcome Dinner with corporate and university leaders atop scenic Mt. Washington, with a special talk about Pittsburgh past and present given by Allegheny Conference’s Bill Flanagan, the delegation visited leaders and scientists at the University of Pittsburgh’s Swanson School of Engineering and Carnegie Mellon University ‘s Manufacturing Futures Initiative. 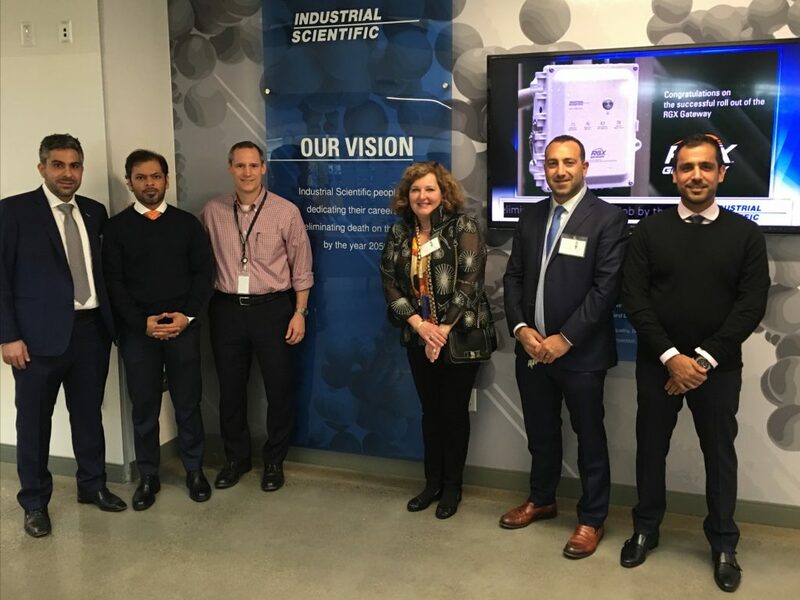 The itinerary also included site visits to GE Additive, Industrial Scientific, Carnegie Robotics, and the Startup incubator AlphaLab Gear of Innovation Works. Startups featured included Panacea.ag, Module, Lumis, and Juvo Robotics. 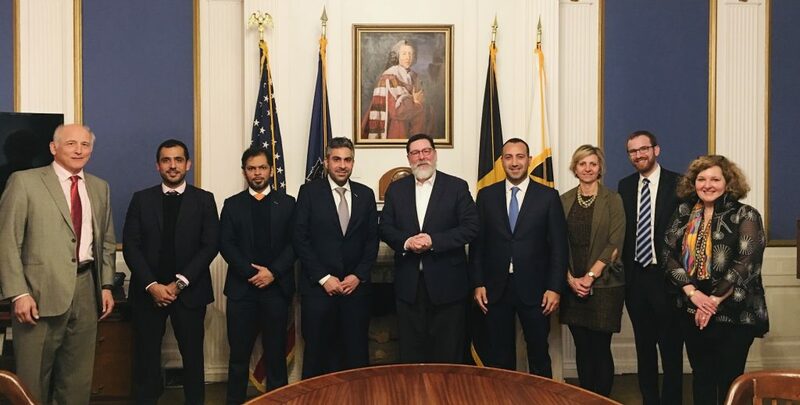 This visit grew from the American Middle East Institute’s 11th annual Business Conference “Disruptive Technologies & The Next Economy” held in Dubai last October, which featured Pittsburgh Mayor William Peduto. To learn more about member services and to join AMEI email Maria Wagley, mwagley@americanmei.org.